My friend, author, Mel Comley, has just released a new book. 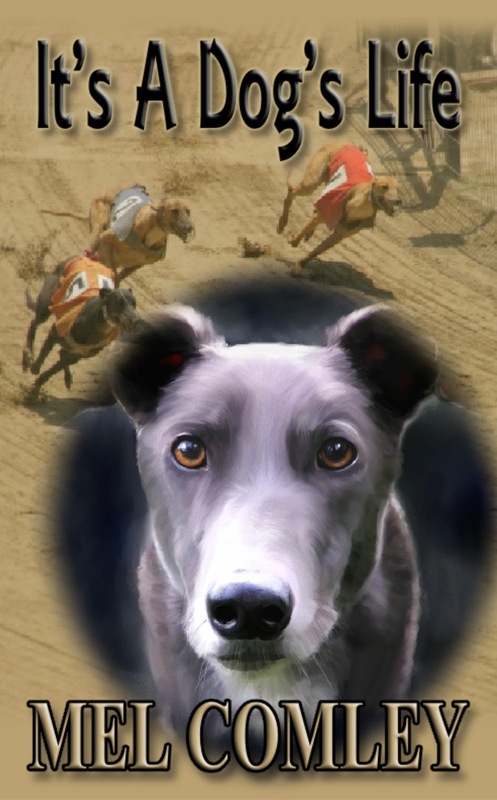 Already in e-format and soon to be published in paperback, the book highlights the horrific practice by unscrupulous owners of killing racing dogs when they're past their useful racing best. Mel has turned this into a short novel featuring her character, DI Lorne Simpkins from her "Justice" novels.The blurb is as follows. When a reporter friend of DI Lorne Simpkins gives her a tip about a story involving old racing greyhounds, Lorne is sceptical. But after looking into it, she's horrified to discover the grisly fate of racing dogs that are no longer useful to their owners-and she's determined to bring the cruel and uncaring owners to justice." Mel said, "I’ve released a novellette in ebook format, with the intention of sending all the royalties to a Dog Rescue charity that is close to my heart. About a year before we left England, we met a wonderful lady called Sheila Tremellen. We’d just come back from a holiday in Florida and discovered one of our dogs, Lady, had died in the boarding kennels. Devastated, and needing to find another companion for our other dog, Angel, I bought the local paper and saw Sheila’s number being advertised. When I rang her we clicked immediately and she invited me to her beautiful old cottage, which had a small kennel attached at the side where she cared for the abandoned dogs she rescued. Sheila showed us a litter of border collies that had been found abandoned in a box. I was immediately drawn to the runt of the litter, the only male in the pack, who was picked on by his sisters. We named him Henry and he now features prominently in my books. Almost ten months later we moved to France, but we’ve never lost contact with Sheila. Every Christmas she sends a lengthy newsletter to the people who’ve adopted one of her dogs, highlighting the dogs she has saved and re-homed during the current year. I was so proud of her achievements when in 2002, Sheila won a BBC UK Animal Award for her charity work. Then in 2006, her work got the recognition it deserves when she was awarded an MBE by the Queen. Over the years Sheila has saved a staggering 1040 dogs. From the minute I met Sheila, I knew I had to help out in some way, but donating a small amount to her charity at Christmas wasn’t enough for me. Unlike many other charities out there, I know that every penny donated goes to the dogs in Sheila’s care. Therefore, I have decided that all the royalties I make from selling my story about the plight of ex-racing greyhounds, will be winging its way to PUPS charity in Worcester. So I’m urging people to buy the book at: But if you’d like to make further donations to this worthy cause please contact me at impjust AT orange DOT fr (substitute @ and .!) and I’ll put you in touch with Sheila." I'll add the paperback link when it's ready.